In this guide we explain how to keep an eye on the condition of your motorhome tyres, how to prevent unnecessary winter damage and what you can do to avoid getting stuck in snow or icy conditions this winter. You want to ensure your tyres give you the best performance this winter. Following these simple steps means you comply with motoring law and your tyres remain in tip top condition. The legal tread depth for a tyre in the UK is 1.6mm across 3/4 of the tyre’s surface. The less tread you have, the less grip you will have which will affect stopping distances and control. Keep an eye out for cracks appearing in the tyre’s sidewalls and the rubber becoming perished. Both can leave the tyre vulnerable to a blowout. Tyre pressures should be checked regularly when the tyres are cold. Under inflation will cause accelerated wear and affect grip and braking distances. Use the pressures set out in your vehicle manufacturer’s guide for confirmation. Move to spread the weight! If your motorhome is left unused for long periods, it may be worth trying to move the vehicle slightly every month so that not all the pressure rests on one part of the tyre for long periods. If you’ve ever tried to navigate a motorhome in the snow, you’ll know how difficult it can be to steady the steering, apply breaks and manoeuvre. Winter tyres can offer a solution to this. Although not a legal requirement in this country, there are huge benefits to fitting winter tyres. Perhaps most crucially they improve steering control and stopping distances when compared to the regular low tread ‘summer’ tyres. They also make it much easier to accelerate. In the UK, it’s recommended that winter tyres are only used when the temperature drops below 7 degrees. 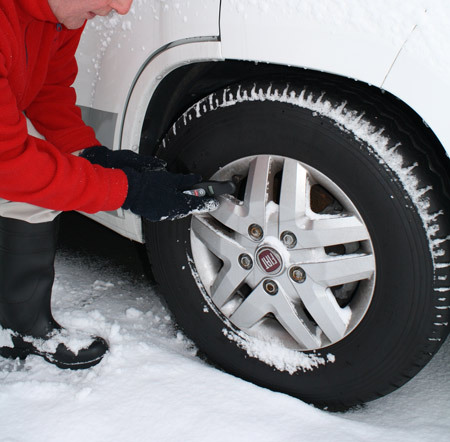 In parts of Europe however, where heavy snowfall is more frequent, fitting winter tyres is often a legal requirement. To find out which countries apply this rule and what the requirements are, check out this guide from The AA. A set of four winter tyres usually cost upwards of £500, they’re not the cheapest method of protection by any means but because you only need to fit the tyres for 4 to 6 months of the year, they can last for two or three winters. This also means they save wear on your normal tyres so it’s well worth the investment. There’s a tool on the Michelin website that helps you choose the right the tyres for your motorhome, see here for details. Once you have an idea of the tyres you need it’s always worth speaking to your local motorhome dealer for additional advice. 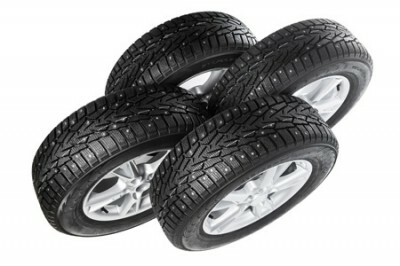 Whichever tyres you buy, the recommendation is that you should have at least 3mm tread in winter. If you’re looking for an alternative to winter tyres, snow chains could be an option which allows you enough traction to get out of tricky situations. Like winter tyres, snow chains are compulsory in some parts of Europe. They are not designed to be permanently installed like winter tyres. Their main function is to get you moving when stuck on an icy or snow covered road surface. The friction the chains create allows extra grip to the road allowing the wheel to turn. Snow chains must only be used on road surfaces that are covered in a layer of compacted snow or ice. It’s important that they are removed as soon as your reach a clear or gritted road surface. The price of snow chains can vary massively; prices for one pair can start from as little as £30 and go up to £355. For further information including an FAQ guide, see here. If you’d prefer to spend a little less and still get the same peace of mind as you would with snow chains, snow socks could be worth considering. 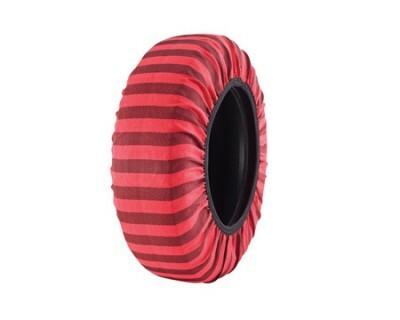 Snow socks are removable covers that can be pulled over motorhome wheels when stuck in snow or on ice. Like snow chains, they create extra grip, but they are generally considered easier to fit and remove, plus they take up very little room which is always handy. Click here to watch snow socks being fitted. Prices for a pack of two snow socks start at around £35. 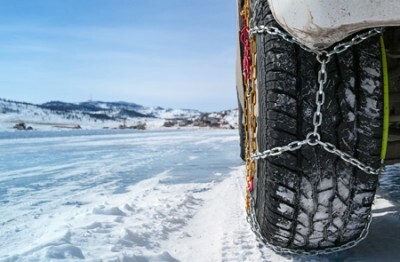 How do you make sure your motorhome tyres are kept in tip top condition and how do you get the most traction in winter? Share your top tips and advice with experienced and novice motorhomers below. Great information!!! In my opinion I would like to use snow socks of a good brand in snow driving. Firstly, I didn’t know winter tyres were available for motorhomes? However, the problem which comes instantly to mind is that you would need to order them, as winter tyres haven’t yet caught on in the UK (we’ve swapped summer/winter wheels on the car since 2010). The problem with slow stock turnover is that the tyres could be up to a year old when they are fitted, so if you do a low mileage, you’ll need to replace them after only four years, rather than the recommended five-year replacement on motorhomes.